Home/News/Does your Smoke Alarm positioning meet Building Regulations? Building Regulations are the minimum standards set for the design, construction and alterations to buildings. 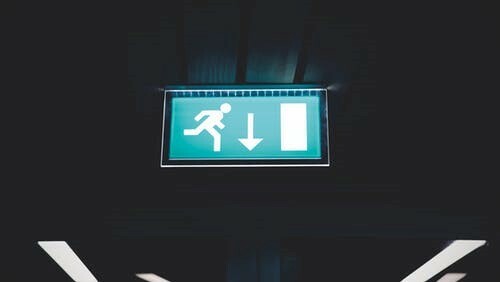 Fire safety is one of the key sections within the Building Regulations, it outlines the requirements needed to provide an early warning of fire, protection of escape routes, preventing the spread of fire, and providing access to firefighting facilities for the Fire and Rescue Services. Fire Building Regulations in the UK point towards BS 5839 as the key code of practice for the planning, design, installation, commissioning and maintenance of fire detection. (BS 5836-6 for domestic, and BS5839-1 for non-domestic). BS 5839-6:2013 categorises different grades and categories of fire detection systems for different types of building. Generally, the greater the fire risk and the more demanding the application required, the more comprehensive the fire safety system needs to be. Grades of system – There are 6 Grades of system, from A to F, with A being the most comprehensive fire detection system. (e.g. what the system comprises). Category of system – Fire detection systems are divided into different Categories that relate to the level of protection the system provides (e.g. where the detectors are fitted). Fire detection systems in residential dwelling should be provided in accordance with the relevant recommendations of BS 5839-6. (As outlined in BS 5839-6) smoke alarms positioned in circulation areas should be of optical type (or multi-sensor type incorporating an optical sensor).